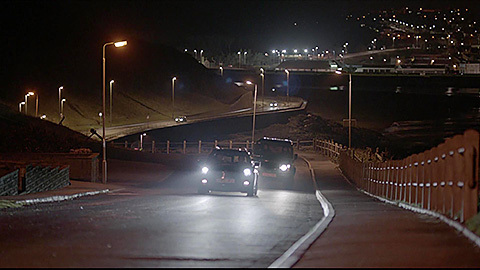 A car chase scene appears at the beginning of Stonemouth. 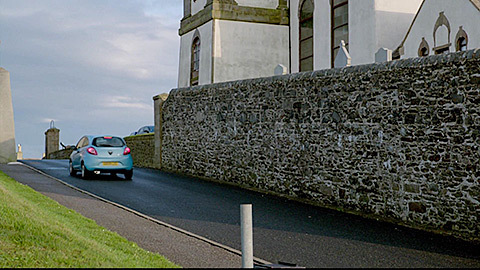 Filmed on Church Street Macduff.. 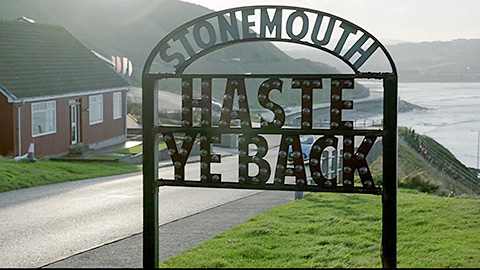 The first day time appearance of the town of Stonemouth shows a large Stonemouth - Haste Ye Back sign. 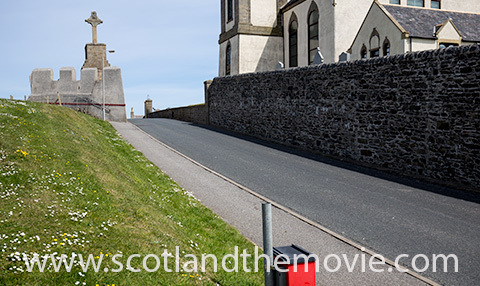 Filmed on Church Street close to Macduff Parish Church overlooking Banff bay. 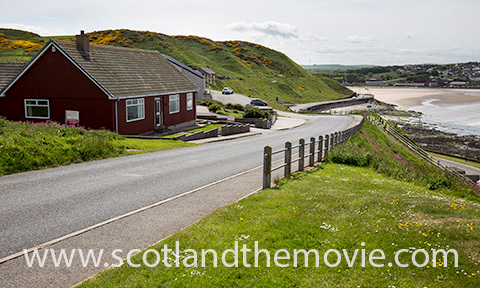 The following scene reverses viewpoint and looks up the hill to the church.